Intel’s new Ivy Bridge chipset will support much higher resolutions than their existing chipset, and Intel has announced that Ivy Bridge will support resolutions up to 4096 x 2304 pixels. The highest resolution consumer displays on the market at the moment support resolutions up to 2560 x 1600, so we expect to see some much higher resolution displays which will make use of the new Intel Ivy Bridge chipset. 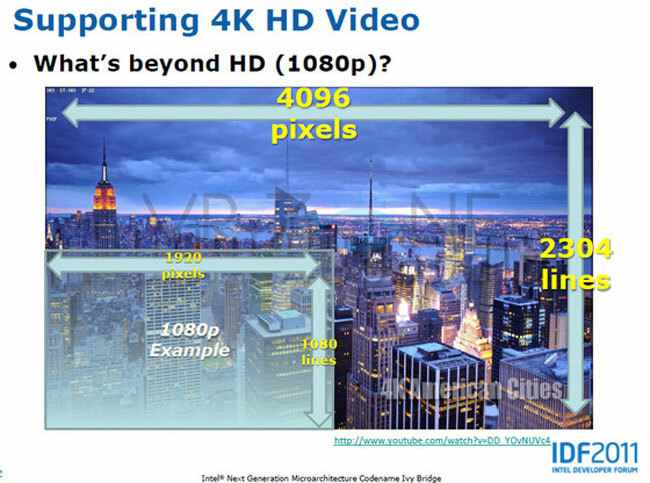 Intel has also announced its new Multi Formet Codec Engine: MFX which will be capable of supporting resolutions up to 4096 x 4096 pixels on a single monitor, and it will also be capable of processing 4K Quad HD video.